Shrimp, tofu, egg, peanuts, green onion, authentic tamarind sauce & amazing house spicy sauce on the side! 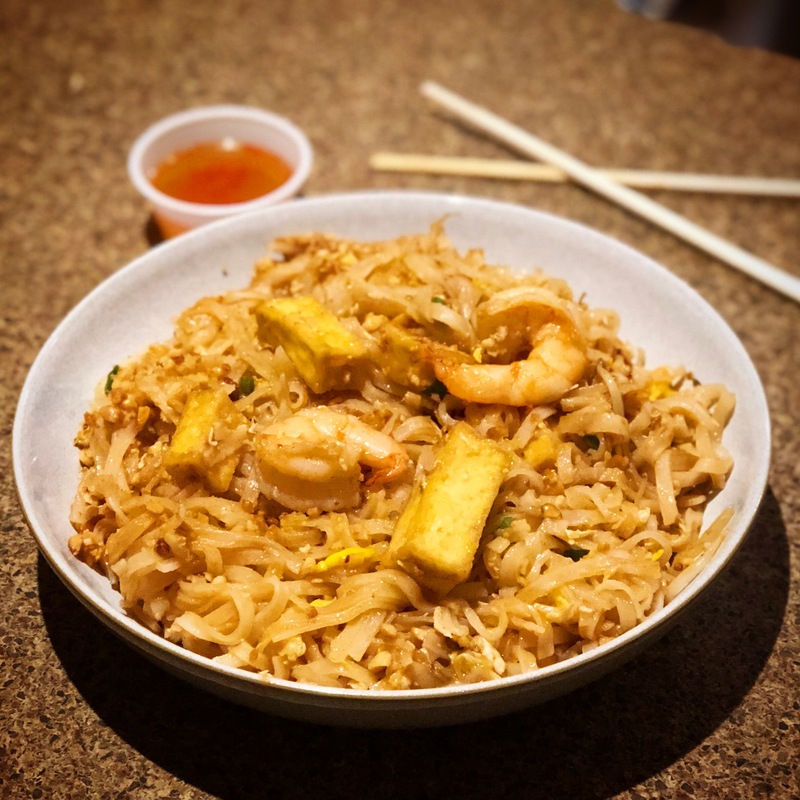 This is by far the most amazing Pad Thai I’ve had in the Ottawa area. Épicerie Poûkham & Lotus Royal Thai is located at 34 rue Leduc, Hull/Gatineau. They are a takeout only restaurant and are open Monday to Friday 11AM-2PM & 4:30PM-7PM and Saturday 4:30PM-7PM. They have a small grocery area where you can purchase all of their sauces and other products to make Thai food at home.